Held the 2nd Saturday in March at Memorial Park, Kingaroy. There is live music featuring local bands, local wines, wide range of food stalls. 8 hours of fun starting at 12noon til 8pm. Boondooma Homstead’s Spirit of the Bush weekend is on again in 2019. 23rd to 28th April 2019. The event will feature some Australia’s top Balladeers and Poets including – Gary Fogarty (Poet), Rosanna Ruddick, Tony Wagner, Dorrie Muller, Brenda Joy (Poet), The Muirs, Jeff Brown and many more. 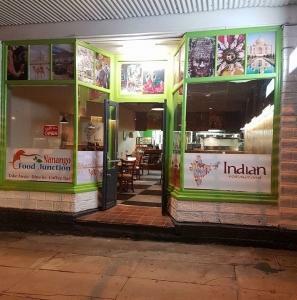 Licensed Bar, BBQ and stalls. Poet’s breakfast, ANZAC Day service at 9am. Earlier this month the team from Eat Well Travel Often took to the Brisbane Valley Rail Trail to visit 2 bakeries in the South Burnett (Blackbutt and Yarraman). It’s a long way to go for a pie but the team enjoyed themselves and took some of the sights of the South Burnett. Click on the LINK to read about their adventure and the yummy goodies that enjoyed during their travel. 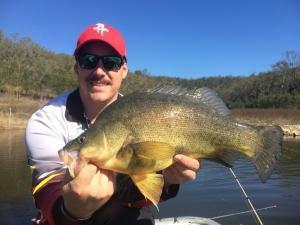 Since the onset of winter the fishing hasn’t changed considerably in the South Burnett Region, with some cracking catches of our native fish being recorded. No matter what type of angler you are, you’re sure to hook up with a few fish at Boondooma and Barambah over the coming weeks. Over the past few months the fish have moved up somewhat shallow and if you find yourself on an edge that has some scattered weed, you could find an opportunity for a fantastic edge bite. If you’re an avid lure fisherman like me, this is where I would start and end the day. The secret has been throwing 3/8 spinnerbaits up as tight as you can to the weed edge and rolling it back with a slow wind retrieve. I like to use the 3/8 Carls compact Bassman spinnerbait with one small Colorado blade, as this stops any weed becoming entangled in the blade assembly and stopping the spinnerbait from working. If you throw up tight to the weed edge and roll out you will get stuck in the weed occasionally, the best trick is to give the rod tip a quick rip to free the spinnerbait and continue the retrieve. Remember early morning and late afternoon is the best time to target the weed as the fish are up in there ready to ambush any offering that is thrown their way. I’ve caught some cracking 50cm+ fish using this method so stick with it, as it could result in a trophy bass being landed. The other option that has been working is using suspending jerk baits to the weed, use the same method as I described above and make sure you add plenty of pauses to your retrieve. Jerk baiting the weed is a cool way to fish as suddenly your drag could be peeling of that reel, before you even realise you’ve had a hit. 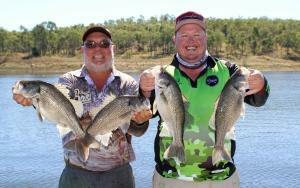 Bill Schloss with a pair of Cracking bass from Boondooma. Later in the day when the sun is high and the breeze picks up, I like to move out deeper around the flats and target schooling fish with, Nories tail spinners, soft vibes and VX blades. Pelican point, Barbour’s pole and Death Valley are good spots to start looking for schools. Please check in with the kiosk if you’re unsure of the names of places around the dam. The secret is using your sounder to slowly move around until you’ve located the fish sitting close to the bottom, once located, start to throw your baits with long casts and keep the lure as close to the bottom as you can. I like to use a very slow retrieve or a hooping retrieve to induce a strike. It’s also a good idea to move around a bit as the fish work out very quickly that you’re there, native fish don’t respond well to pressure or noise. Bait fisherman have been getting good catches of yellow belly in the Boyne arm of the dam fishing close to trees and the Boyne rocks. Most have been using saltwater yabbies, shrimps and worms. It’s a good idea to use smaller sinkers as the bite is hard to detect if you’re using huge ball sinkers. Simply tie up to a tree drop your bait to the bottom and slowly move the bait up and down off the bottom. It won’t be long until you get a bite. Trollers have also been doing quite well on the yellow belly in the Boyne and Stuart arms in the timber with smaller deep diving hard bodies. Make sure you take a tackle retriever with you as you’re bound to get a snag or two whilst trolling. Redclaw are still coming in pretty good numbers around the shallow rocky edges, soft fruits and vegetables have been the best bait during the winter months. Typically, in winter, BP dam’s fish move in closer to the edge and can be caught using a few methods. Lately the best edge fishing methods have been Eco gear ZX blades and Jerk baits cast up shallow. Slower moving baits like the ones suggested are dynamite in winter the key is small hops off the bottom near the edge with the ZX blades and long pauses near the edge with the jerkbaits. 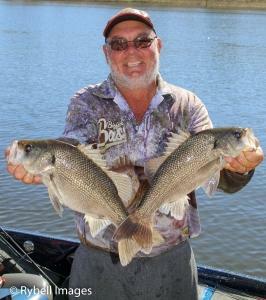 The deeper flats have also been producing lots of fish be it bass or yellow belly. Jigging blades has been the best method. Most anglers have been sounding fish in about 20ft and sitting on top of them, Eco gear ZX blades have been the real standout as they have two small stinger hooks attached. Drop them down to the bottom and hop them with small sharp hops, a fish only needs to touch them and the stinger hooks will grab them very quickly. Best spots have been the big flat out from the main dam wall. The Author and Nick Anderson with some nice bass from the edge at BP. It’s Valuable to remember that most fish in the dam are gorging themselves on small bony bream so it’s a great idea to throw anything that looks like a small bait fish. Look for steeper banks that hold some timber or rocks as this is a likely place that fish will be looking for bait up shallow. Out deeper try to find flats that are close to significant drop offs or the main submerged creek line. Dylan Fryer with a beautiful yellow belly from the edge on a jerk bait. Bait fisherman have been getting a ton of nice fish from BP dam. Most have been tying off to trees and fishing saltwater yabbies and shrimps vertical with small hops. I witnessed a couple catch their bag limit in under an hour just recently, I was very impressed and almost switched to bait. Big quality yellow belly and good numbers of bass have been coming on bait. Trollers are catching the odd fish trolling around the main lake points, small deep diving hard bodies are the best. Redclaw have gone very quiet and should start popping back up as the water gets warmer. If you’d like to become a member of the local fish stocking associations please don’t hesitate in contacting Terry Allwood, Secretary/Treasurer of the Boondooma fish stocking association on 0400860122 or Matthew Langford president of the BP fish stocking association on 0408658592. New members are always welcome. 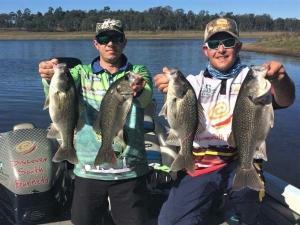 https://www.discoversouthburnett.com.au/wp-content/uploads/2017/08/August-Fishing-report-4.jpg 1034 1378 Stacey Perrett https://www.discoversouthburnett.com.au/wp-content/uploads/2018/01/Discover-South-Burnett-RESIZE-300x185.png Stacey Perrett2017-08-04 03:14:452017-08-04 03:14:45Red Hot bite in the South Burnett! When you think of boxing one name comes to mind… Muhammad Ali. Well sorry to disappoint but there was another boxing great who came from the South Burnett… Arthur Cripps. Born in 1879 Arthur Cripps started his sporting career playing rugby. He played in one game for Queensland – a “dramatic” 25-11 win over New South Wales in 1901 (see even back in the early 20th century Queensland were beating New South Wales!) But footy just wasn’t meant to be for Arthur who turned to professional boxing in early 1902. Arthur was trained by “Big” Jim Austin, who was said to be one of the cleverest trainers of the time. He claimed that because of this training he never suffered a black eye or bloody nose. In 1903 Arthur Cripps claimed the Australian Middleweight crown. He would then win this title on and off between the years 1903 to 1909. A property at Broadwater (Nanango) brought Arthur, his wife Mary and their daughter Violet to the region to begin a farming life. Arthur held boxing fund raising activities and assisted many young men in gaining expertise in the boxing arena such as Bill Ewart of Nanango. In 1916 at the age of 35 (which was not the norm as the average age of men enlisting was 26) Arthur enlisted as a driver in the Engineers. 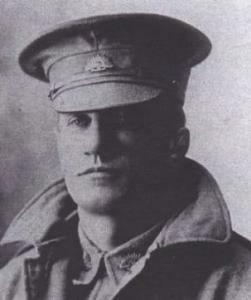 This grabbed the attention of Australians with newspaper headlines reading “Arthur Cripps gone to the front!” (16 May 1917). He also made headlines again upon his return in August 1919. After the war Arthur returned to Nanango where he was the Post Office Hotel Proprietor, Chairman of the local football club (1923to 1925) and Director of the Dairy Company (1923). 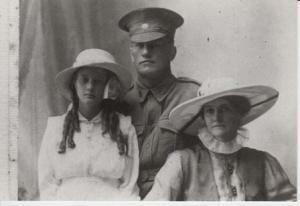 However, before his daughter Violet was 21 years old he decided to move the family to Brisbane. In 1934 Arthur Cripps passed away. A mild-mannered man – a home lover – an ace high husband and father – and a wonderful glove fighter! 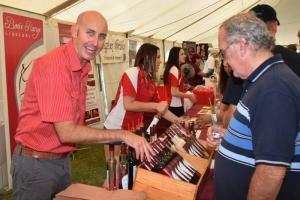 The South Burnett Wine and Food in the Park Festival is on again this Saturday 11th March at Memorial Park, Kingaroy. 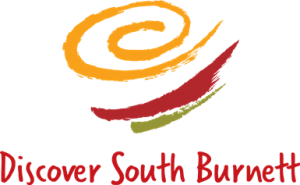 This is the festival’s 18th year and is a great way of showcases the best of South Burnett wine and food. The event starts at 12 noon and runs till 8:30pm and will have eight hours of live entertainment including street performers and top music acts. 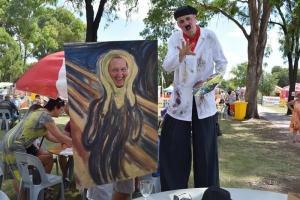 Kevin Liepins a freelance writer has wrote a great article for Weekend Notes on the festival. CLICK HERE to read.